Illinois Festival Pageants are held in August during the weekend of the Decatur Celebration – one of the largest street festivals in downstate Illinois – in the Decatur Civic Center. We pride ourselves on showing our titleholders how to volunteer and give back to their community! You do not need any previous pageant experience to enter – we will teach you everything in order to be confident on stage! Step outside of your comfort zone and try something new! 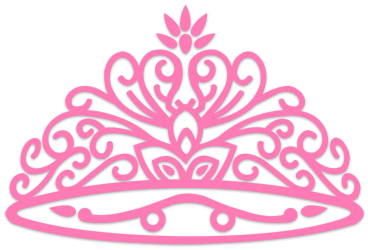 We offer a Queen division, Junior Miss, Pre-Teen and Princesses. Admission into all four pageants is $7.00. We hope to see you there! We are an “open” pageant system with no residency restrictions. The Decatur Celebration is one of the largest street festivals in downstate Illinois held the first weekend in August. Our biggest requirement is that you MUST volunteer at least once a month in your community! We are so glad you are willing to enter a pageant! Pageants are no different than sports, art or music. Put yourself out there and try something new! Learn more about how pageants can improve your skills and build self-confidence. 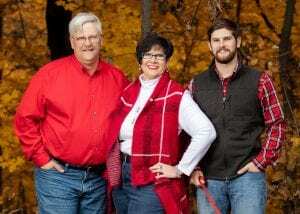 Melissa Muirheid directed the Macon County Fair Queen and Little Miss pageant starting in 1996. In 2006, she added a Junior Miss division and later added the Adorable Baby Contest. She traveled extensively with each titleholder throughout the state visiting numerous fairs and festivals teaching them about agriculture, farming and county fairs. Each January Melissa chaperoned the Macon County Fair Queen to the IAAF Convention spending four days in Springfield. Out of her 17 Queens, 10 of them walked away as a Finalist or received special awards out of numerous county fair queens competing for the title of Miss Illinois County Fair. When the fair queen pageant opted to sit out a year, Melissa decided to continue the tradition of Pageants and everything positive it brings and put together “Miss Macon County” held during the Decatur Celebration. It gave an opportunity for the titleholders to crown a new winner! Sophia Schwalbach was our new Queen and Lydia Hubbard was our Junior Miss. They crowned Kristen Batte & Kylie Nichols in 2015 but when the fair pageant returned in 2016, the titles were too confusing so we are now called Illinois Festival Pageants. It makes sense! Our pageant is held in conjunction with one of the largest street festivals in downstate Illinois – the Decatur Celebration! Technically, our first Illinois Festival titleholders are Graysie Cook, Morgan Hollon and Izzy Cutler. Melissa directs the Illinois Festival Queen Pageant, Junior Miss, Pre-Teen and Princess pageants on Sunday of the Decatur Celebration. The Adorable Baby Contest (0 – 4 years) is held on Saturday in Central Park. Melissa enjoys judging local festivals, county fair pageants as well as State and National level pageants. She continues to coach and prepare young ladies for other pageant systems because she believes in the positivity of pageants. She is a certified judge for the Miss America system and has judged all over the state of Illinois, Indiana, Iowa and Kentucky for their scholarship programs. Melissa loves makeup and is known as the lipstick Nazi; she loves jewelry, taking pictures, retail therapy and is easily distracted by shiny objects! Melissa is a die-hard Chicago Cubs fans! When she is not traveling to a pageant, she can often be found at Wrigley Field.